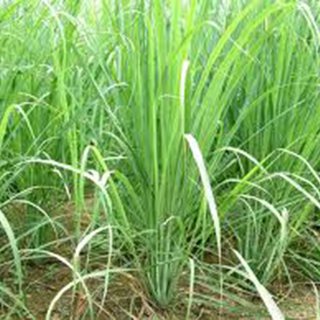 Originally native to grasslands in south-east Asia, lemongrass is now cultivated in many tropical regions, including Guatamala, the West Indies, and the Philippines, both as a culinary herb and for its essential oil. The herb is a popular digestive remedy in parts of Asia, and is used as a flavoring in perfumery and the food industry. Dilute 30 drops of essential oil in 1 tbsp vodka, then add to 1/2 cup water and use in a spray bottle as an insect repellant (fleas, ticks, and lice), or as a deodorant and antiperspirant. Dilute 20 drops of essential oil in 2fl oz (60ml) of almond oil and massage into aching muscles, or use on the abdomen for stomach cramps. Drink 1 cup (1-2 tsp herb per cup boiling water) 3 times daily for gas, indigestion, or stomach cramps. Simmer a handful of chopped fresh lemongrass for 1–2 minutes in olive oil and use on arthritic or painful joints. Grow in containers in cooler areas and over-winter in a conservatory or heated greenhouse, as not frost hardy (minimum temperature 45F/7C). In frost-free areas plant in fertile, moist, well-drained soil in full sun, keeping 24in (60cm) between plants. Sow seeds (at 64F/18C) in early spring in seed trays and transplant to 3.5in (7cm) pots when large enough. Alternatively, propagate by root division in late spring. Gather stems through the year.